After what was an outstanding career as a midfielder on the Providence College Men’s Soccer Team, Julian Gressel ’16 has quickly become one of the top rising stars in Major League Soccer. Born in Neustadt an der Aisch, Germany, Gressel came to the United States in 2013 to join the Friars’ soccer team. Gressel’s impact on the team was felt immediately as he started all 22 games for the Friars in his freshman season. Over that span of time, Gressel led the team in goals, assists, points, and shots on goal. In his rookie season, Gressel achieved a Big East Rookie of the Week honor and was named to the Big East All-Rookie Team and All-Big East Second Team. Gressel continued to produce for the Friars in his sophomore season on the team in 2014. During the 2013-14 season, Gressel scored five goals and added five assists. He continued his steady play into the Big East Tournament, receiving Big East All-Tournament Team recognition. In 2015, Gressel scored five goals in his third season at PC. He again received numerous accolades including being named to the Big East All-Tournament Team and the All-Big East Second Team. However, during his senior season in 2016, Gressel truly played to his full potential. Gressel netted an outstanding 15 goals in just 22 games played, 6 assists, and 36 total points. His incredible performance throughout the season ultimately led to an NCAA tournament berth for the Friars, which included an incredible 5-4 comeback win over No. 1 seed University of Maryland. Gressel added two goals in this second-round game of the tournament, and finished second all-time in goals, assists, and points among all PC players. Upon the conclusion of his career at PC, Gressel entered the 2017 MLS Super Draft where he was the highest Friar ever selected. He was picked up by Atlanta United FC as the 8th overall draft pick in the draft. 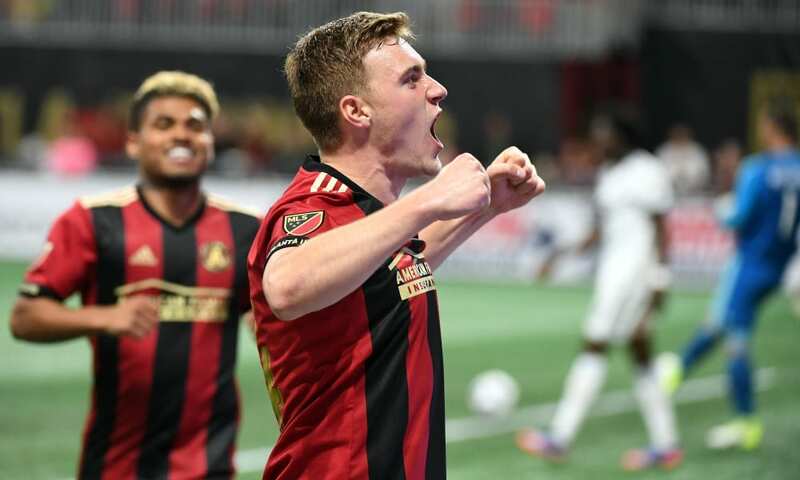 In his rookie season with Atlanta, Gressel showed no signs of being overwhelmed with the conversion from college to professional soccer. In his first season with Atlanta United, Gressel appeared in 32 games, scoring five goals and adding nine assists. This stellar first season led to him being named the 2017 MLS Rookie of the Year. Atlanta, however, fell short in the MLS Playoffs to Columbus Crew SC in the 2017 season. 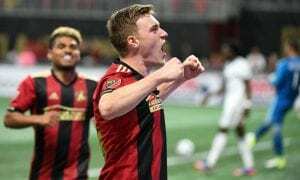 Gressel and Atlanta United made sure that they would not fall short the following season, and showcased their dominance throughout the 2018 season. In his second season in the MLS, Gressel scored four goals and recorded 14 assists to help lead his squad to its first MLS Cup victory. Atlanta beat the Portland Timbers in the MLS Cup Final by a score of 2-0. This was a fitting way for Atlanta United to cap off its second season in the league as no other MLS team showcased nearly the same level of quality and consistency throughout the season. Gressel was an integral part of this quality and consistency as a rock-solid midfielder. Through just two seasons in MLS, Gressel boasts a Rookie of the Year award and an MLS Cup victory. The PC graduate has shown no signs of slowing down as he is one of the top young midfielders in the league.